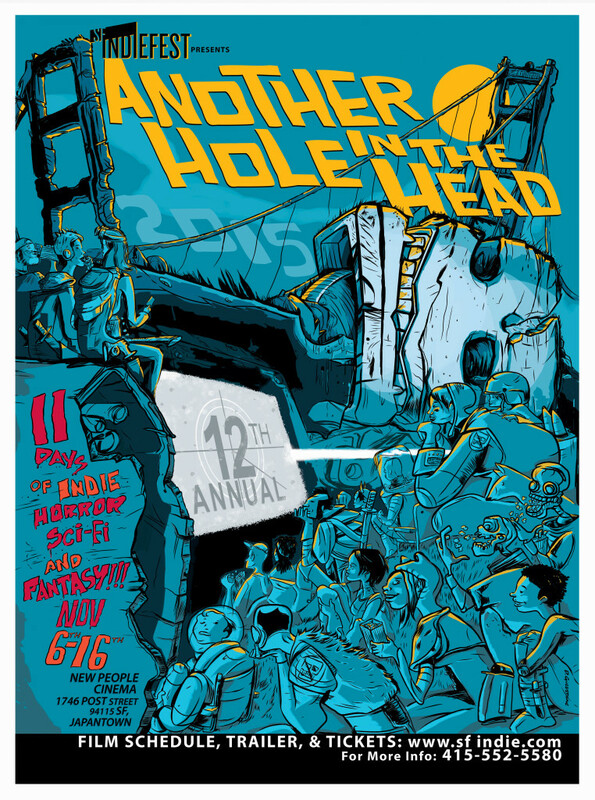 12th Another Hole in the Head Announced! Celebrating 11 days of Independent Horror, Sci-Fi and Fantasy, this year’s fest will consist of 26 features and 90 short films. Another Hole in the Head offers up independent film’s raw underbelly: the terror and gore, the fantastical and far out, the mayhem and mindf*cks — the bloodbaths and beyond! Another Hole in the Head kicks off its 12th year with Nina Forever (Blain Brothers) which premiered at this year’s SXSW and Fantasia festivals. This dark horror comedy features the twisted tale of a revenant, a ghost who returns from the grave to torment her ex-boyfriend and his new girl every time they try to get it on. At AHITH, we love our local talent, so we’re excited to premier work from three up-and-coming Bay Area filmmakers: All Through The Housefrom Todd Nunes, Other Halvesfrom Matthew T. Price, and Sacred Blood, a Christopher Coppola vampire film. Michael Guillen, a member of the San Francisco Film Critics Circle, and writer of The Evening Class, has recently been added to the programming staff of the Another Hole in the Head Festival. His selection of the films Cash Only,Slumlord, She Who Must Burn, Biteand the short film “Spring Garden” are welcome additions from a respected critic.